Constipation can be an uncomfortable experience and one that may have concerned you for some time. The following information can help answer your questions about constipation and help you understand your doctor's choice of treatment. Constipation may mean different things to different individuals. Most commonly, it refers to the passage of too few bowel movements per week. It may also describe having hard, dry stools that are difficult to pass, a decrease in the size of the stool, or needing to strain to have a bowel movement. Some individuals describe a sense of not emptying their bowel completely or the need for enemas, suppositories or laxatives in order to have a bowel movement. The definition of normal frequency of having a bowel movement ranges from 3 times a day to 3 times a week. Chances are you know what is regular for you--and therefore what is irregular for you also. If you are constipated frequently and making the following recommended changes does not help, it is wise to schedule an appointment with a Colon and Rectal Surgeon. More serious causes of constipation include narrowing of the colon or growths in the colon. Constipation may be associated with some medical conditions such as diabetes, Parkinson's disease, thyroid disease, multiple sclerosis, or spinal cord injuries. Sometimes constipation is caused by problems with the function of the pelvic floor muscles. The muscles may not relax appropriately when trying to pass stool, making it difficult and sometimes painful to have a bowel movement. Biofeedback therapy may be helpful in retraining these muscles to allow for easier passage of stool. Gradually add high-fiber foods to your diet, including • fruit (not peeled when appropriate) • dried fruits (apricots, prunes, raisins, and dates) • raw vegetables • bran cereals • whole-grain breads. Drink 8 to 10 glasses of decaffeinated fluid each day (caffeine intake can contribute to dehydration and cause the constipation problem to become worse). Follow a regular exercise program. Walking is good for the heart and body, and abdominal exercises help improve intestinal muscle tone. Ask your doctor about a program that would be right for you. Respond to the urge to have a bowel movement. When you feel the urge, relax and let your body take the time it needs. If you ignore the urge, you could prolong the problem. If one is recommended by your doctor, take a high-fiber supplement to help you stay regular. Should I take a laxative? Your doctor may prescribe a laxative for you. There are many types of laxatives, each one having benefits and drawbacks for certain patients. Bulk-forming agents are not digested but absorb liquid in the intestine and then swell to form a soft, bulky mass that stimulates a bowel movement. Because bulk agents mimic the body's own actions, they are said to work naturally. They may lead to increased gas and can take up to three days to have an effect. Stool softeners do not cause a bowel movement but ease the difficult passage often associated with hard dry stool. They can work in one or two days but may take up to five days. Stimulant laxatives encourage bowel movements through action of the intestinal wall. They increase the muscle contractions in the intestine that lead to having a bowel movement. Stimulant laxatives are a popular type of laxative for self-treatment. While all stimulant laxatives work basically the same way, some are more likely to cause cramping or irritation and rarely, nausea and vomiting. These types of laxatives should not be taken for prolonged periods of time. Hyperosmotic laxatives work by drawing water into the bowel from surrounding tissues. This softens the stool and sends the bowel the message to empty. Too much water can be drawn in, though, resulting in loose bowel movements and upsetting the body's balance of fluids. There are three types of hyperosmotic laxatives taken by mouth--saline, lactulose, and polymer types. 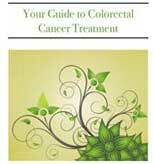 Enemas fill the colon with fluid, which softens the stool and stimulates a bowel movement. With so many products available, it is not easy to know which is best for you. Follow your doctor's recommendation. It is always a good idea to look for natural ways to meet your body's needs and avoid long-term use of medication. Excessive use of stimulant laxatives can actually cause constipation and dependence upon laxatives because the colon loses its normal tone and the ability to contract. Bulk-forming agents are safe to take for a long time. They are essentially a supplement to fiber in your diet.